When embarking on your weight loss journey, it’s important to set up an effective exercise plan. Your exercise plan will depend on how much weight you are looking to lose. Many dieters choose cardio activities like walking, jogging or running to help them lose the weight, which others opt for more resistance forms of exercise to build their muscles and improve overall health. In order to achieve the best results, it’s important to combine the right amount of intensity with the perfect fitness routine. When setting up your exercise plan, it’s important to determine what the right exercise routine to follow is—all of which depends on your fitness level and the eventual goal you strive to reach. Dieters looking to lose weight and burn fat will usually be recommended to hit the treadmill at a moderate speed for about 45-60 minutes most days of the week. A lot of people realize that it is essential to select an exercise plan that not only improves your overall health, but also retains muscle mass, all the while strengthening the most important organ of the body: the heart. 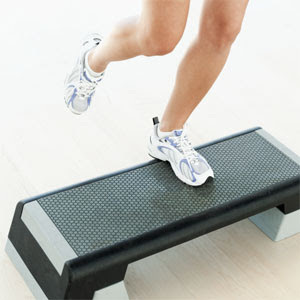 In order to accomplish this, dieters will want to concentrate on short, high intensity exercises. If you are looking to maintain muscle tone and achieve optimal health, at least 20 to 30 minutes every day. When setting up a weight loss exercise program, it’s important to make sure you set up a well-balanced, low-calorie based program to achieve maximum results. The best weight loss exercise programs are usually a combination of aerobic exercises along with toning exercises that will help speed up your metabolism and burn more fat faster. People do cardio aerobic exercises to help raise their heart rates and increase metabolism which helps trigger fat release. Step aerobics is one of the best forms of training that focuses on the hips, legs and belly and is mostly used to lose weight and tone the body. You can burn up to 800 calories per hour with step aerobics, making it one of the most effective and inexpensive methods to use to burn fat. Take a ride around your neighbourhood, or go for a stroll through the forest on your mountain bike and burn anywhere from 500 to 1000 calories per hour. The number of calories you burn depends on how intense your bike ride is (depending on terrain and how fast you’re going). Biking is easy and considered one of the best exercises to help boost your metabolism rate and result in a speedier weight loss. Walking is probably one of the most common forms of exercise and is appropriate for just about everyone. Part of its appeal is that anyone can do it, anywhere. All you need is a good, comfortable pair of shoes and somewhere to stretch your legs. Walking helps strengthen your heart and speed up your metabolism, improving your cholesterol levels and resulting in lowered blood sugar and blood pressure levels. Make walking a routine and try to walk at least 30 minutes every day to achieve maximum results. Did you know that swimming is one of the best forms of exercise since it works just about every muscle in your body. Further, it’s one of the safest forms of exercise, since there’s no impact to your joints, there’s little risk of injury. Swimming is known to strengthen your heart muscles and lungs, among many other benefits. Health conscious individuals recognize the significance of regular exercise and try to make informed decisions when it comes to their health and reaching their weight goals. If your main goal is to lose weight and burn fat, you’ll be required to perform more intense exercises for longer periods of time. However, if you have your good health in sight, moderate, daily exercise is essential. In the end, exercise is essential for dieters to be able to lose weight and reach optimal health. Having troubles sticking to your diet plan? Need some help setting your plan up? Looking for an extra pair of ears or some extra support and motivation? I’d love to hear from you! Let me know how your weight loss plan is going, how many pounds you’ve lose to date and anything else you want to share with me. Please don’t hesitate to contact me or leave a comment here with your questions or comments and I’ll get back to you as soon as I can. Here’s to your weight loss success!